CASE: Round, diameter 42 mm, thickness 11.8mm, polished stainless steel. 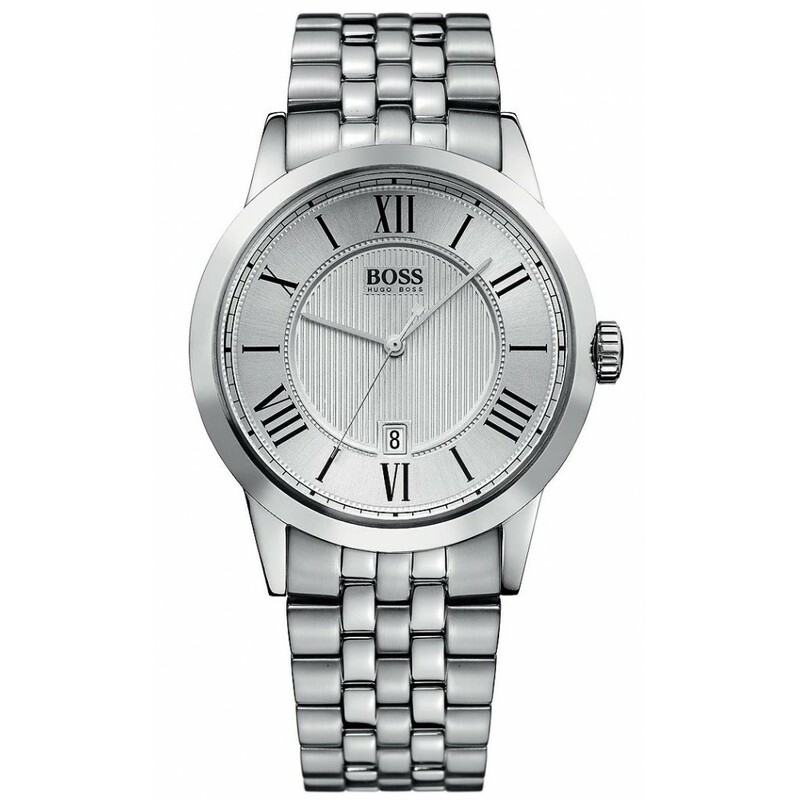 DIAL: Silver with luminous Roman numerals. WATER-RESISTANCE: 3 bar / 30 meters / 99 feet. STRAP: Two-tone stainless steel with fold over clasp, width 22mm. STORY: Received as a Christmas gift from my wife on 2013-12-25.